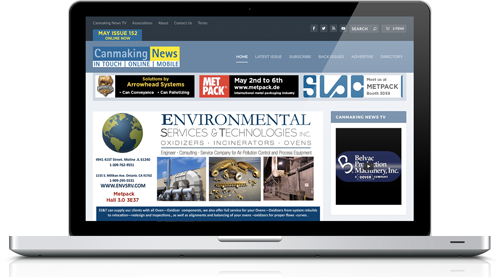 Canmaking News is the leading online magazine for metal packaging which was developed for the market in October 2003. Jaymac have over 35 years experience in publishing and internet media. The team consists of experienced journalists and sales specialists worldwide. The technical and design support consists of qualified graduates. They operate primarily from the UK but travel extensively to exhibitions and conferences within the industry. Copyright © 2016-2019 McRitchie Media Ltd. All Rights Reserved.